In the latest Money Makers podcast, Jonathan Davis talks to fund manager Chris Rice, one of the founders of Sanditon Asset Management, a boutique investment management firm led by three experienced and highly regarded fund managers who previously worked at Cazenove Capital. The trio follow a business cycle investment approach, designed to profit as the economy moves from recession to growth and back again. After a tumultuous year of political change, my obvious first question to Mr Rice in this phone conversation was “how will Trump’s election, Brexit and other recent chocks change the outlook for investors”? He has a clear view on which sectors and asset classes will do well as the latest cycle moves towards a climax. 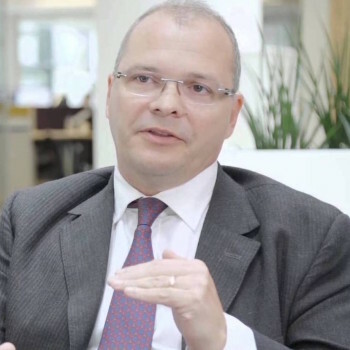 Chris Rice was head of European equities at Cazenove Capital Management from 2002 to 2013, having joined Cazenove from HSBC Asset Management where he held a similar position between 1997 and 2002. Prior to HSBC, he was a Japanese and European fund manager at Scottish Amicable Investment Managers. Chris graduated from the University of Salford with First Class Honours in Finance and Accounting and also has a MPhil in Monetary Economics from the University of Glasgow.